Geoff Hadfield is the Managing Director of Hadfield Wood Recyclers and UK Wood Recycling, and a founder and former Chairman of the Wood Recyclers Association. Geoff has been an influential figure in the wood recycling industry for more than 35 years, having founded Hadfield Wood Recyclers in 1980. 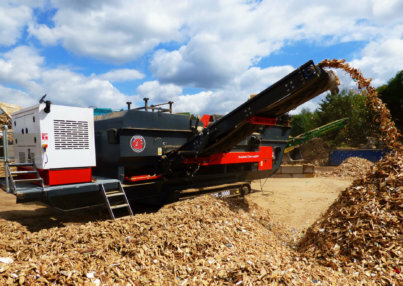 His background was in farming and agriculture and he has grown his business from a small waste disposal company on the family farm in Manchester, to one of the UK’s biggest wood recycling companies. Hadfields is still very much a family run business, with four generations working in it today. Geoff continues to take a “hands on” role in the company, while also being at the forefront. As such he is fully aware of the issues and concerns facing wood recyclers in the current climate. Geoff is keen to use his years of experience and knowledge gained working in the wood recycling sector to help the WRA and its members face any challenges that arise as the industry develops, and to help them achieve success going forward.